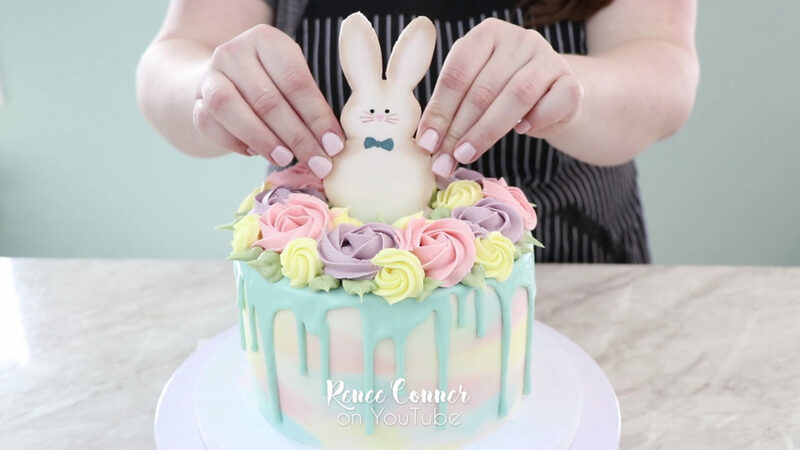 I love this Easter cake that I made last year. 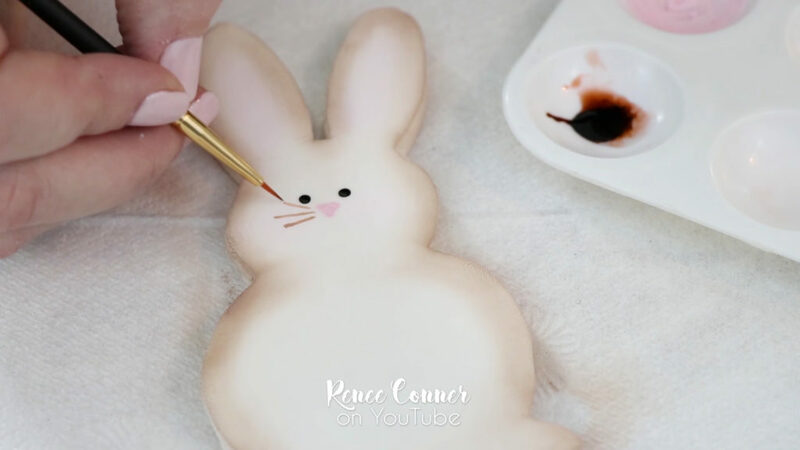 It’s a super easy watercolor buttercream technique, with a trendy drip and a cute little bunny cut-out! It would be a great centerpiece at your Easter gathering. 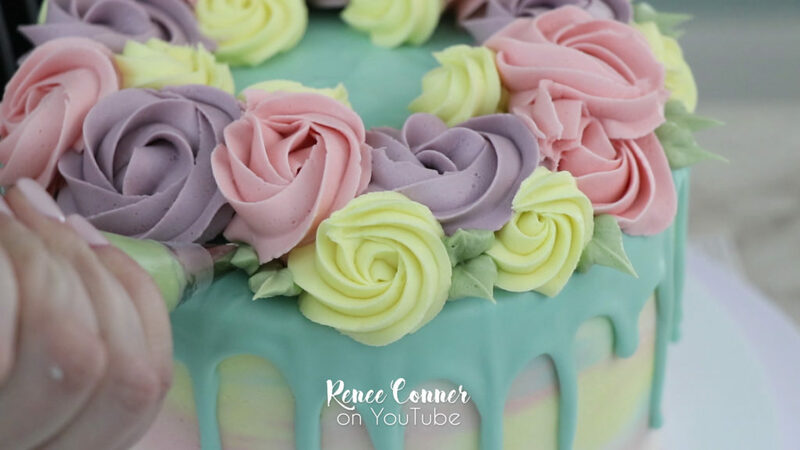 If you’d prefer a video tutorial, scroll down to find my full tutorial on YouTube, as well as a supply list and links to some of my favorite recipes. 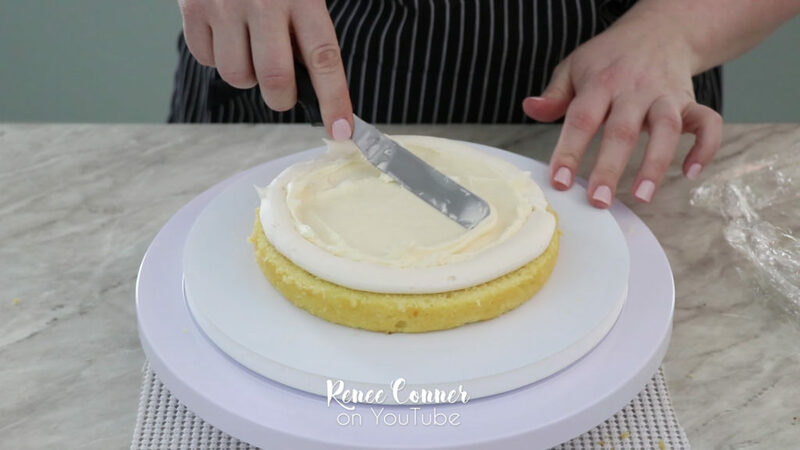 I used two 2″ tall x 7″ round layers of lemon cake. I leveled and split the layers so I would end up with a total of four layers of cake. 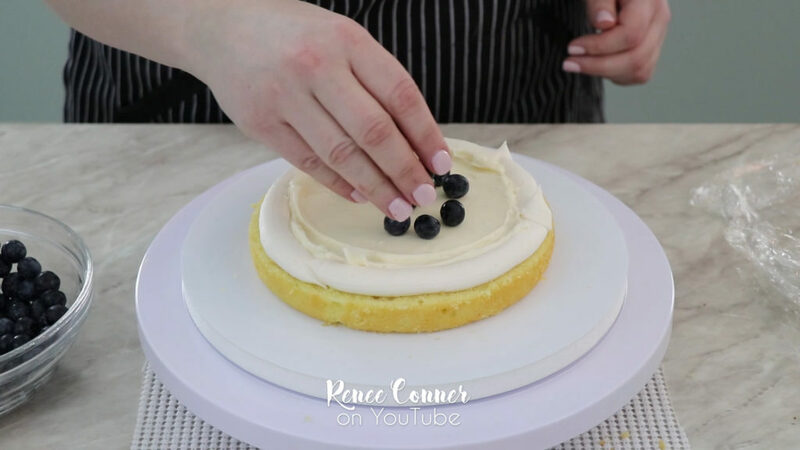 My cake was filled with delicious cream cheese icing (which is so, super yummy with lemon cake!). And, I added fresh blueberries for a fresh fruit element. 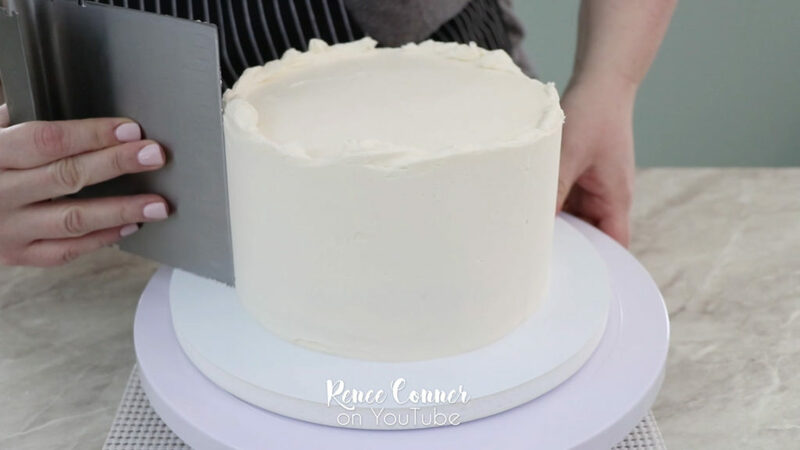 My cake got a quick crumb coat of my American Style Buttercream… and after a quick chill, a smoothed finish coat of the same buttercream. 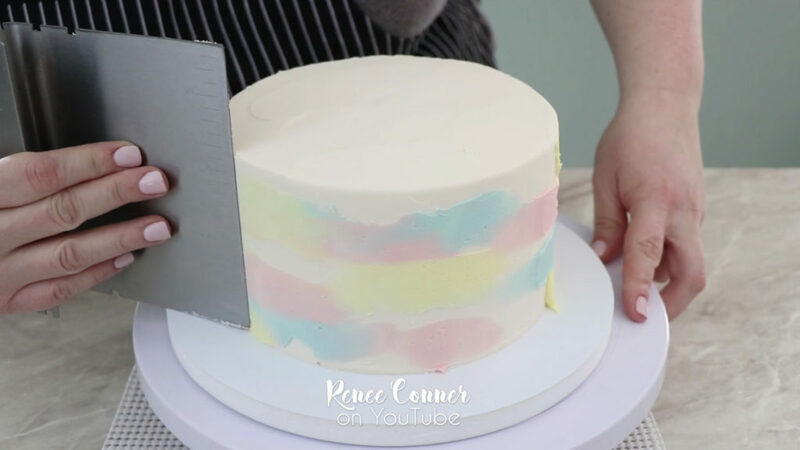 It’s really easy to make the watercolor effect that I used on the side of my cake. 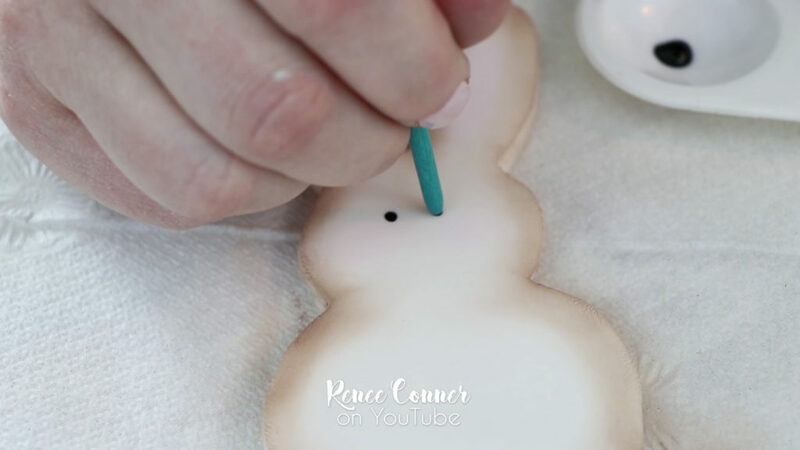 You want to make sure your buttercream is freshly applied/smoothed. 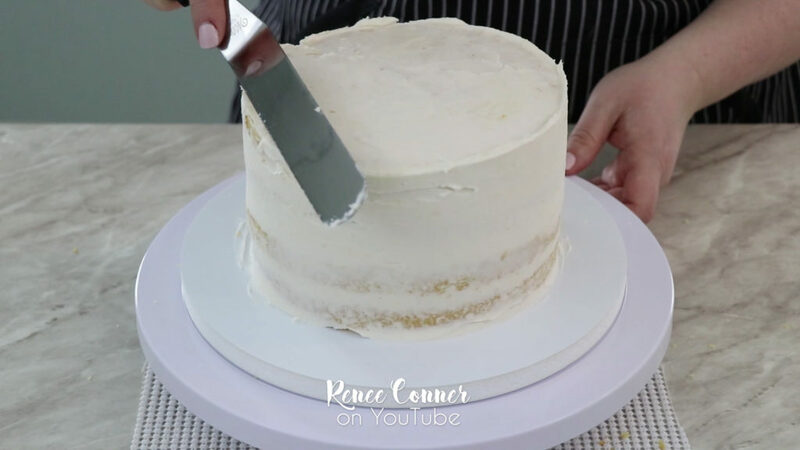 If you are using a crusting buttercream make sure you don’t allow it to crust. 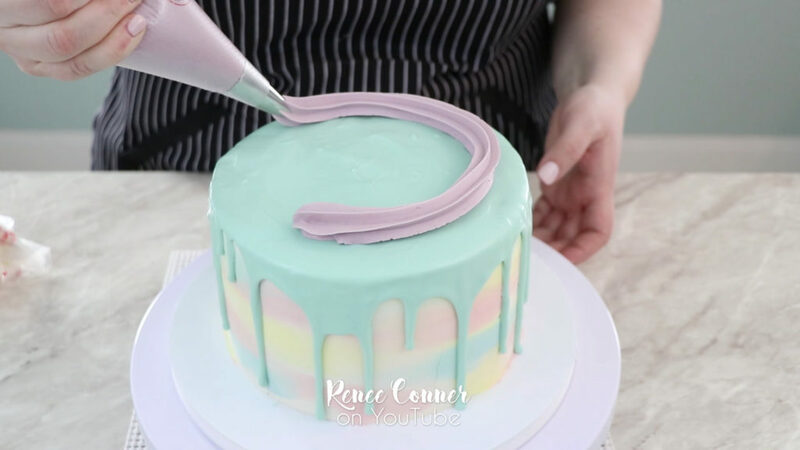 Then I used a small offset spatula to apply dollops of pastel colored buttercream, randomly around the side. Then a final smoothing with my bench scraper… and it’s that simple! At this point it’s time to put the cake in the refrigerator so it’s well chilled before the next step. 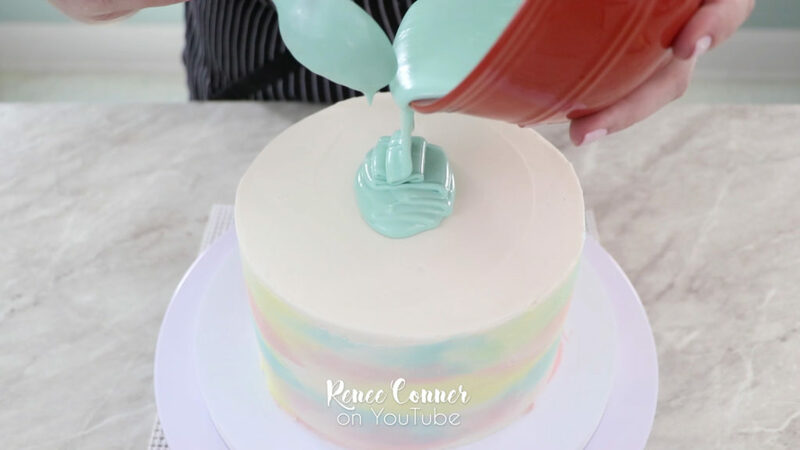 I used a drip technique on the top of the cake. I made a white chocolate ganache (3:1 ratio) and allowed it to cool slightly so it would be a runny, but cooled consistency. 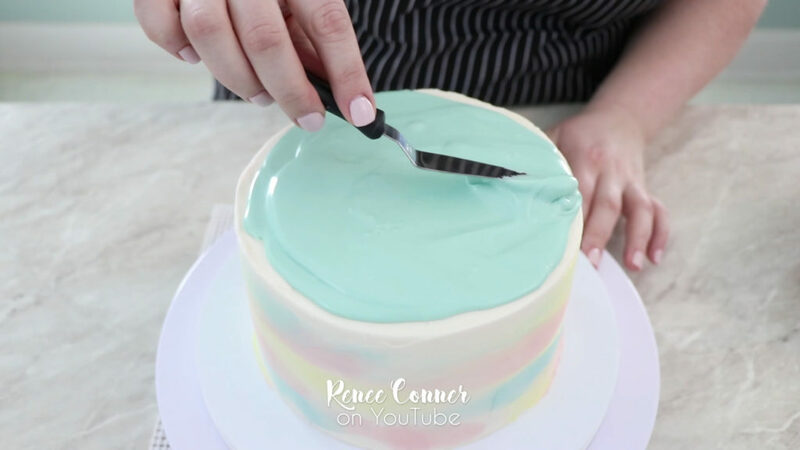 I colored my ganache with white gel color and then just a bit of teal gel color to make a pretty pastel color. I find the white gel color essential when I make my drips. White chocolate ganache on it’s own will have a translucency. 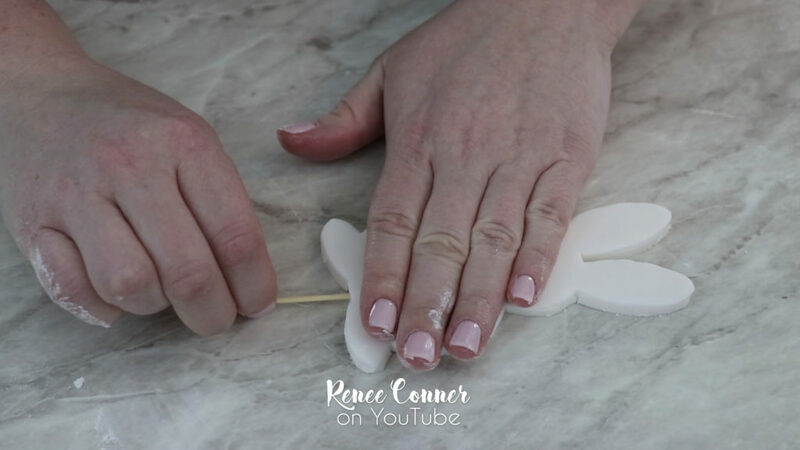 The white gel color with make the ganache opaque and help you achieve a true color when you tint it. I have a full supply list at the end of this post, if you are curious about exactly what I used. 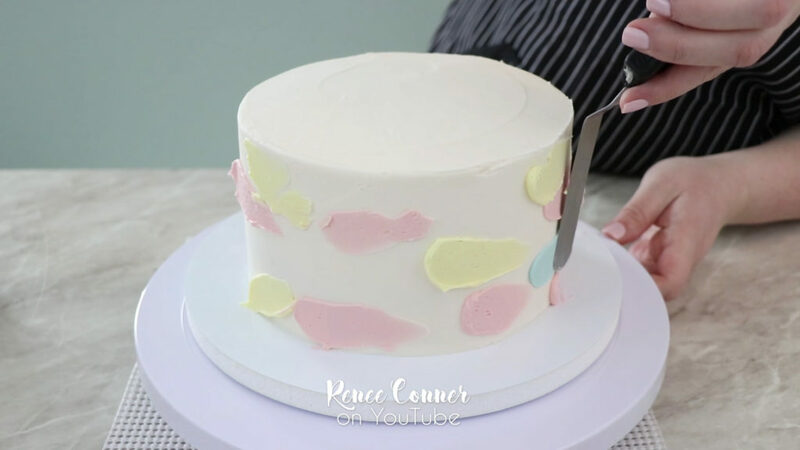 I like a more irregular pattern to my drips… so my technique is to pour a small amount of ganache onto the cold cake and use a small spatula to push it to the edge of the cake and level it out, this will encourage some natural drips. Then I quickly go in with some ganache in a pastry bag and enhance those drips and add others where needed. It is important to work quickly so the drip lines settle in with the rest of the ganache. 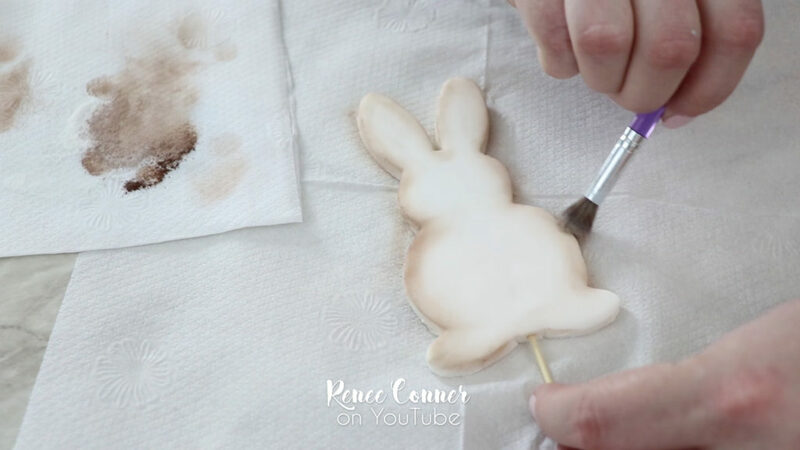 While the ganache on the cake was setting up in the refrigerator I made a bunny cutout from some fondant- mixed with tylose powder. 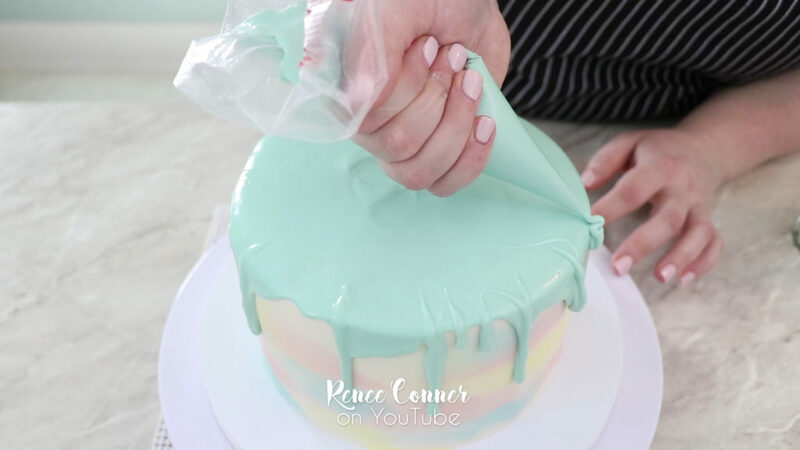 This will need some time to dry out and harden, so it’s an element you can do a few hours or even days before you make the cake. I printed a bunny silhouette from the internet, cut it out and inserted a toothpick before letting it dry. It’s difficult to see in the pictures, but I dusted the ears and cheeks with some pale “cotton candy” petal dust, so they have a slight pink hue to them. 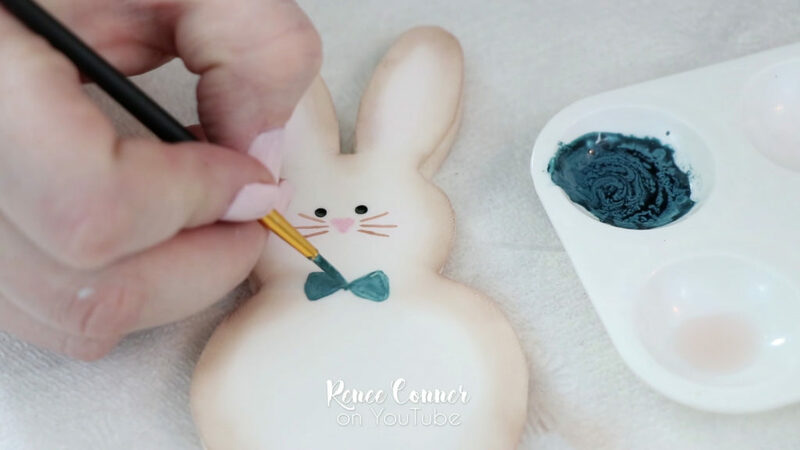 Then I hand painted on face details and gave my bunny a cute blue bow-tie. 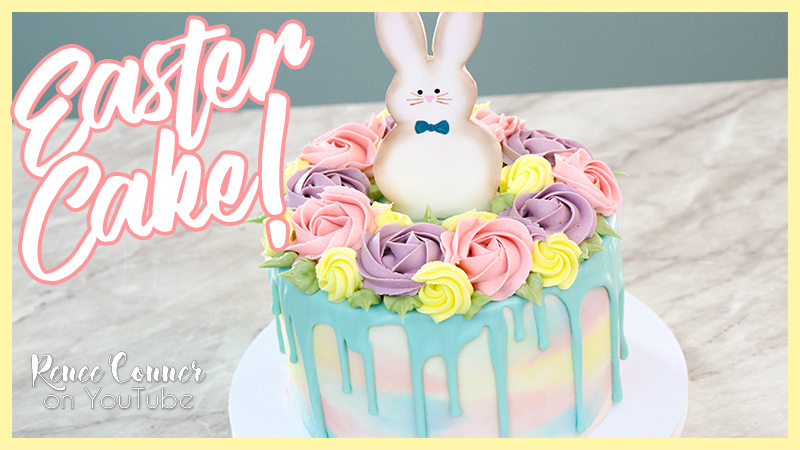 With the ganache set and my bunny decorated, it was time to bring everything together. 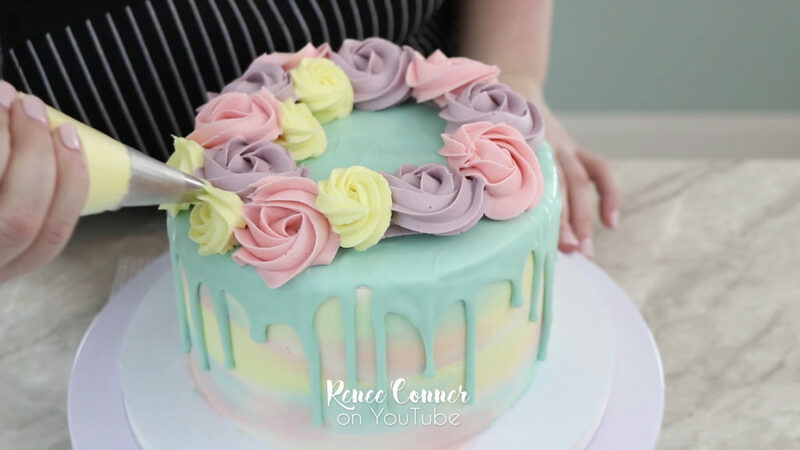 I created a simple wreath on top of the cake, by first piping a ring of buttercream to give it some dimension. Then I piped rosettes of pink, purple and yellow buttercream all around the top. I used different size start tips so my rosettes would have slightly different shapes. Then I used a leaf tip to give some final detail to my simple floral wreath. Then all that was left, was to place my cute bunny on top, centered in the wreath!